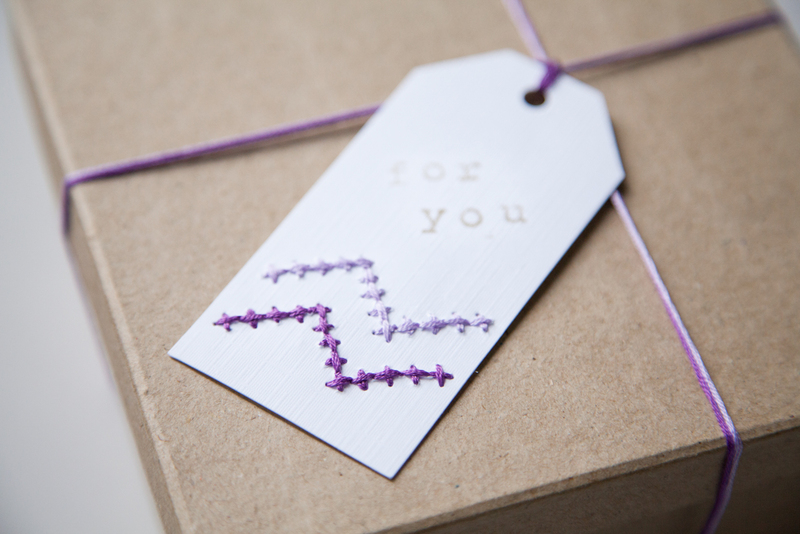 Paper embroidery is my favorite trick for bringing an extra-special personal touch to my gifts. It’s a simple technique to learn, and these designs are so quick and easy that you can make a batch of them at once and use them for gifts in the future! 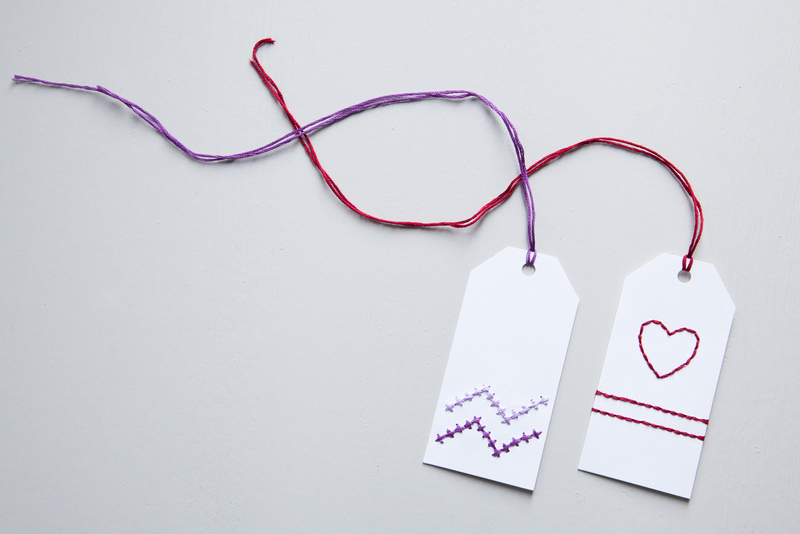 Feel free to try out some of your own designs as well – these tags can be customized to any holiday. Print the PDF pattern download, or create your own design! 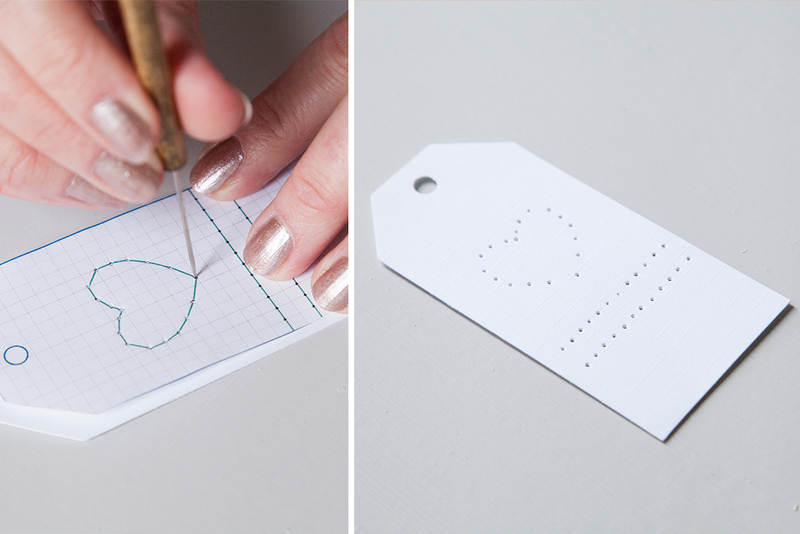 Place the pattern on top of a paper tag, and work on top of a scrap of cardboard or a towel so you don’t damage the table. Follow the pattern and punch through the holes with your needle tool. Thread the needle with your embroidery thread and knot the end. Stitch through the paper, using the holes you just punched. For the heart, I used a back-stitch to create an outline. For the purple zig-zags, I used a cross-stitch pattern. If you’re creating your own design, feel free to combine these two techniques! 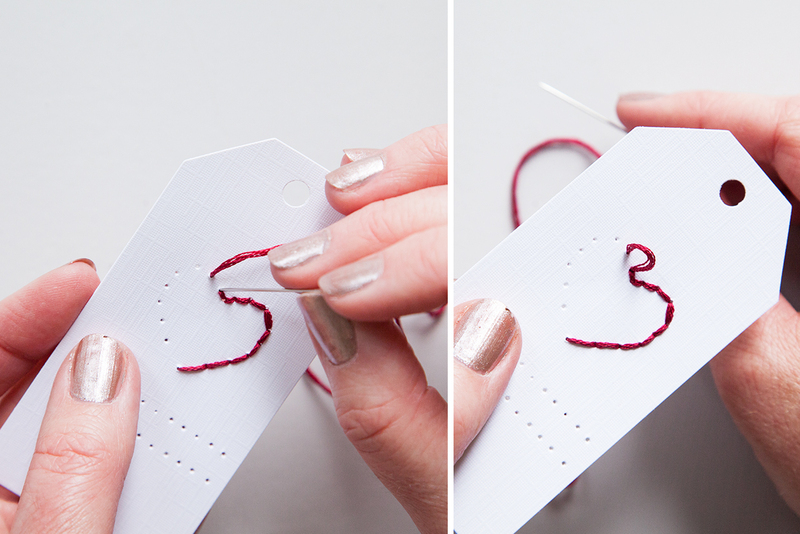 When your designs are complete, loop a length of embroidery floss through the hole to hang it. 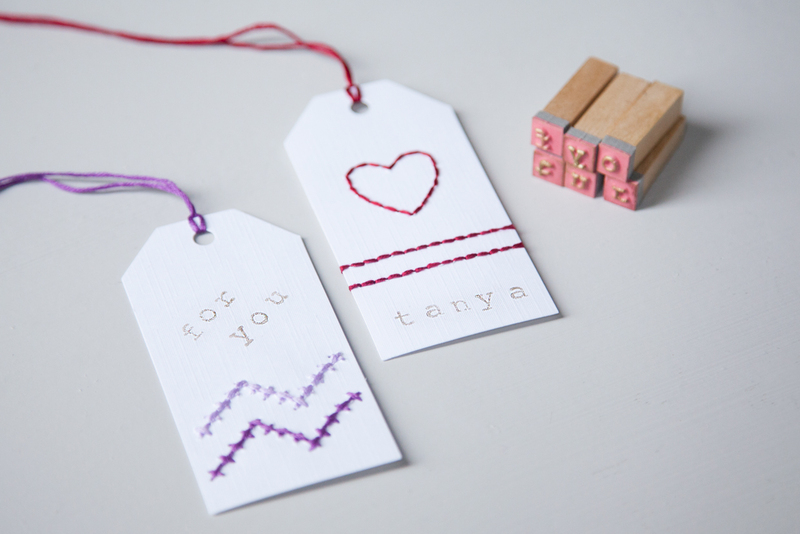 Use letter stamps to print a name or a short message on your tag. 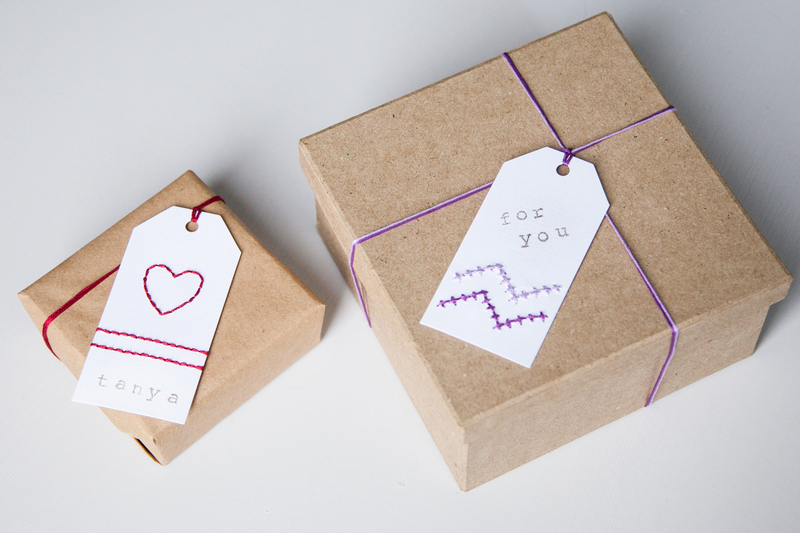 Tie your tag onto your gift and gift it to your friend!